Dr. Richard Carrier is a well-known atheist who does not believe Jesus of Nazareth was a real person. Carrier is a leading proponent of the ‘origin of Christianity without a historical Jesus’ (richardcarrier.info). Carrier also believes that many of the most important biblical figures were also fictional. Dr. Carrier is not as certain about whether the Hebrew prophet Daniel actually existed, but does believe the Book of Daniel is a late work of fiction. I believed the same thing a few years before Dr. Carrier was born (1969), so these ideas about figures in the Bible not being historical and their writings being made up by unidentified people centuries after the supposed historical dating are nothing new to me. I was a loud, mocking atheist with a radio talk show in a major metropolitan area 46 years ago … so what happened to me? What happened to me has happened to many atheists who laid aside their biases long enough to look at the evidence for the historicity of the Hebrew prophets – including Daniel. Questions about the dating of Daniel go back as far as the 3rd century A.D. Porphyry was a philosopher and student of Plotinus. Porphyry wrote a series of books titled Against the Christians. Jerome included some of Porphyry’s claims that Daniel had to have been written during the early to mid-2nd century B.C. because of the accuracy of Daniel’s prophecy concerning the time of Antiochus Epiphanes. Responses to Porphyry’s writings by about 30 Christian apologists and the burning of his books by Emperor Theodosius II ended the idea of a late dating of Daniel .. until the 17th century German literary critics began attacking the Book of Daniel and promoting an anonymous authorship during the time of the Maccabees. That was the dominant view of Daniel when I was investigating theism and the reliability of the Bible in 1971. The oldest known texts from the Book of Daniel were discovered as part of the Dead Sea Scrolls. 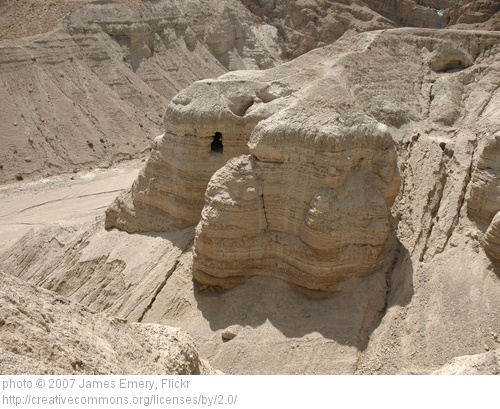 The Dead Sea Scrolls, including hundreds of biblical and non-biblical scrolls and fragments, were discovered between 1947 and 1956 in 11 caves that were part of the ancient Qumran community. The caves are located along the northwest shore of the Dead Sea several miles east of Jerusalem. Eight biblical manuscripts of Daniel were discovered in the caves and many scholars wrote about the findings during the 1950s and 60s. In addition to the already mentioned language issues (Hebrew and Aramaic), scholars also raised the issue of dating based on the Qumran community accepting Daniel as canonical (part of the Canon of the Hebrew Bible) by the middle of the 2nd century B.C. Some scholars (e.g. Professor Randall K. Harrison – Dead Sea Scrolls: An Introduction, 1961; Introduction to the Old Testament, 1969) believed that Daniel’s canonical status in mid-2nd century B.C. is evidence that Daniel was written many years earlier in order for it to have been accepted as canonical. The apocryphal 1 Maccabees dates to the latter part of the 2nd century B.C. The writer quotes Mattathias ben Johanan speaking to his sons just before he died in 166 B.C. The quote concerns the Maccabees’ ancestors and mentions Abraham, Joseph, Moses, Joshua, David, Elijah and other biblical characters, including Daniel and his friends – “Hananiah, Azariah, and Mishael were saved from the flames because they had faith. Daniel was a man of integrity, and the Lord rescued him from the mouth of the lions. Take each of these ancestors of ours as an example, and you will realize that no one who puts his trust in the Lord will ever lack strength.” (1 Maccabees 2:59-61) The argument from conservative scholars is that the testimony of a priest and leader of the Jewish people in the middle of the 2nd century B.C. concerning the history of the Hebrew people from the Book of Daniel is more evidence that Daniel was written long before the time of the Maccabees’ battles with Antiochus IV Epiphanes (reigned 175-164 B.C.). The reason the actual dating of the Book of Daniel matters is because of Daniel’s visions and prophecies found in the second half of the Book (Chapters 7 – 12). If Daniel wrote this book about events he personally experienced during his years of living in Babylon from the end of the 7th century to the latter part of the 6th century B.C. (605-525 B.C. ), then an important question has to be asked and answered: how did a human being predict kingdoms and events centuries in the future? Could the answer be as simple as what we read in Daniel 9:22-23 from the angel Gabriel? The early visions and dreams in Daniel (Chapters 1 – 4) had to do with the future of Nebuchadnezzar, Babylon and other world powers. Daniel’s interpretation of Nebuchadnezzar’s first dream (Chapter 2) moved Daniel and his Hebrew friends into positions of influence in the Babylonian government. Daniel’s interpretation of Nebuchadnezzar’s second dream (Chapter 4) concerned how the king would experience a period of temporary insanity until he knew “that the Most High rules in the kingdom of men, and gives it to whomever He chooses” (Daniel 4:25). Daniel interpreted the supernatural writing on the wall of a royal banquet and predicted that the Medes and Persians would conquer Babylon (Chapter 5). Daniel became a leader in the new government and ruled with both Darius the Mede and Cyrus the Persian (Chapter 6). The later prophetic visions (Chapters 7-12) concerned how future events would affect the Jewish people. These are remarkable claims from an ancient writing. Even if the archaeological evidence was strong enough to support the Book of Daniel dating to the 6th century B.C., were there any other archaeological finds that would back up the historical claims? We’ll look at those in the next part of our investigation. Nice blog, looks like there’s a lot of research, thanks for sharing! Hello. Is it possible to listen to some of your past broadcasts that show you were a “loud, mocking atheist”? It would be interesting to see your arguments back then. Thanks for any links you can provide. Hello. Is it possible to listen to some of your past broadcasts that show you were a “loud, mocking atheist”? It would be interesting to see your arguments back then. Thanks. Hi, Anthony. 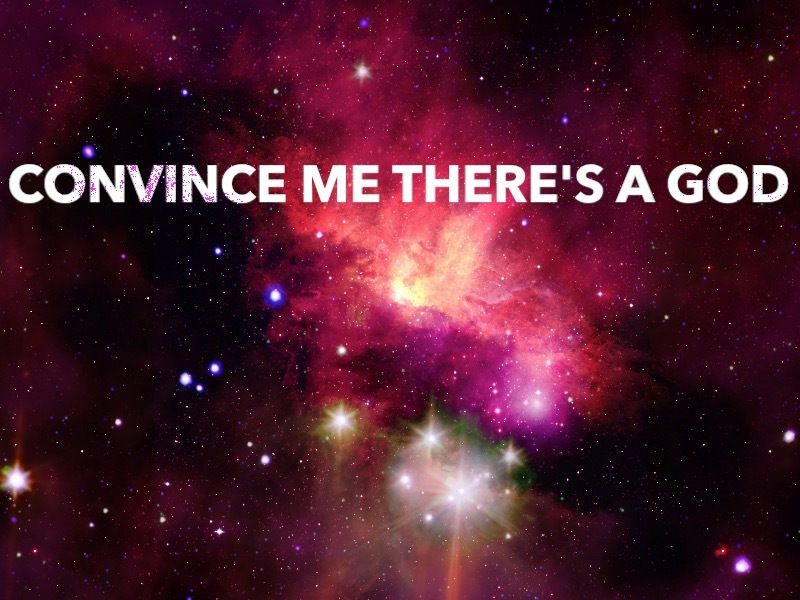 I wish I could find them. Engineers threw out most of the tapes when we moved to a smaller location in 1971. I wasn’t interested in keeping personal archive tapes in those days, so have not found any yet. I’d like to find one or more of the tapes to argue with my old self.